I think the fifth basic food group is ice cream, but who’s counting? I love coffee. I love chocolate. These truffles are the perfect marriage of both. They are silky smooth, just sweet enough to satiate your sweet tooth, but not too sweet that you feel disgusting after eating one. Or two. Or three. Ok who’s counting? (No judging please). Each truffle is meticulously dusted in coffee so that when you open the bag you get a really nice whiff of good quality coffee, and then boom. Chocolate. They’re just delicious. These truffles were burning a hole in my cabinet. I bought them a few weeks back at the amazing Chocolate Show and have been planning their ice cream debut ever since! Every day I’d walk into my kitchen and these little bundles of joy would stare me in the face saying “eat me” or “make me into ice cream.” I couldn’t resist. I have no self control. And then this flavor came to me. Let me be very clear right here: If you get easily addicted, please do not try making this ice cream. Everything will spiral out of control. You will stand in the kitchen with your head perched in the freezer, spoon in hand, mouth full of ice cream, wondering how the hell you got there. It’s not a pretty picture. But, if you’re willing to take that risk (and everyone should live on the edge once in a while!) go ahead and make this ice cream. You’ll thank me later. 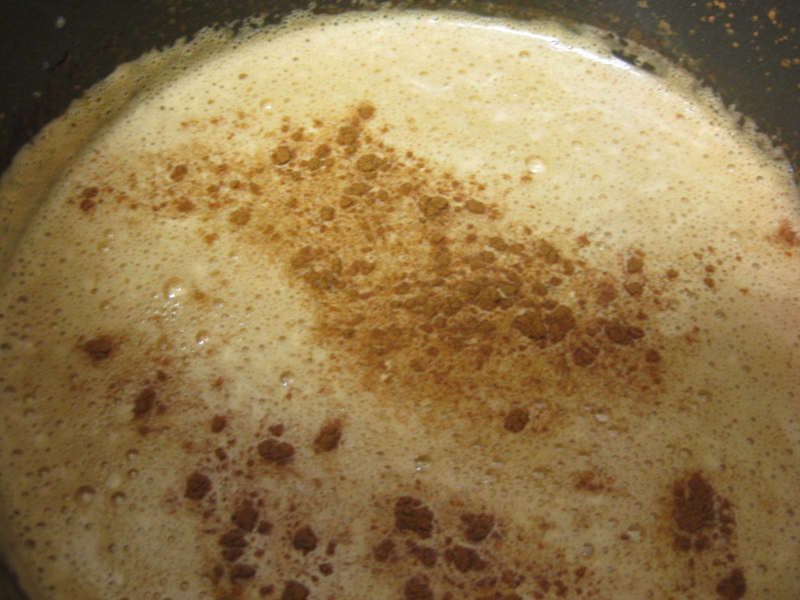 In a saucepan mix the cream, half-and-half, milk, cocoa powder, coffee, ground cinnamon and cinnamon stick. Warm until small bubbles begin to form around the edges and remove from heat. Meanwhile, whisk together the three egg yolks, adding sugar slowly until the mixture thickens and turns a pale yellow. Temper the eggs by pouring the hot milk, cocoa, chocolate mixture slowly into the egg yolk and sugar mixture. Whisk until thoroughly blended. Pour back into the saucepan and warm until it reaches 170-175 degrees, or until it is thick enough to coat the back of a spatula. Remove from heat, and add in the Kahlua. Cool completely before refrigerating for at least 2 hours. Once fully chilled, remove the cinnamon stick and pour into the bowl of an ice cream maker. Churn according to the manufacturer’s instructions. 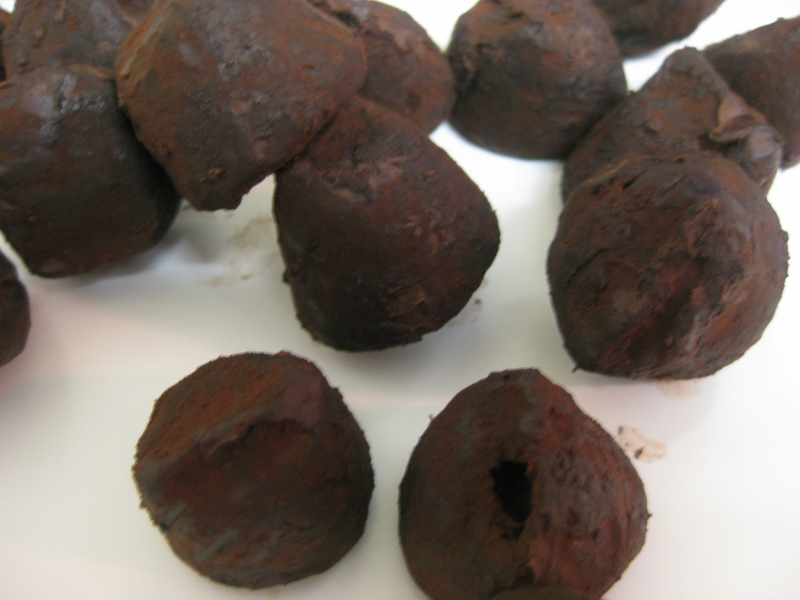 While the mixture is churning, pop 15 truffles into the freezer for 10 minutes. Remove and chop into small pieces. Five minutes before the mixture is done churning add in the truffle pieces. 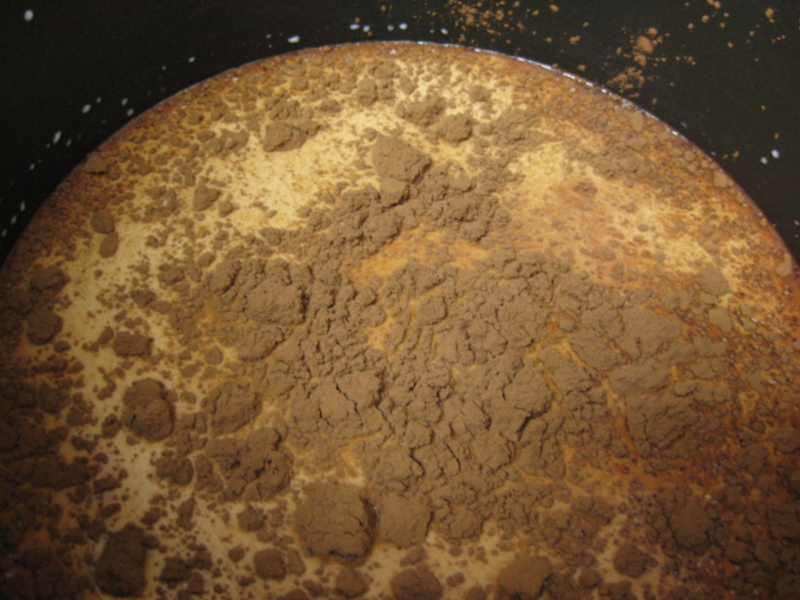 One finished churning transfer to a freezer-safe container and freeze for at least 2 hours before serving. Note: Because this ice cream is made with alcohol, it will be much softer than others even after fully churned. Don’t worry, once it freezes for a few hours it will harden – though it will never be as firm as alcohol-free ice cream. Personally, I prefer the consistency of alcohol-infused ice cream – it’s truly so creamy! The Verdict: In my humblest opinion, this cappuccino ice cream is incredible. 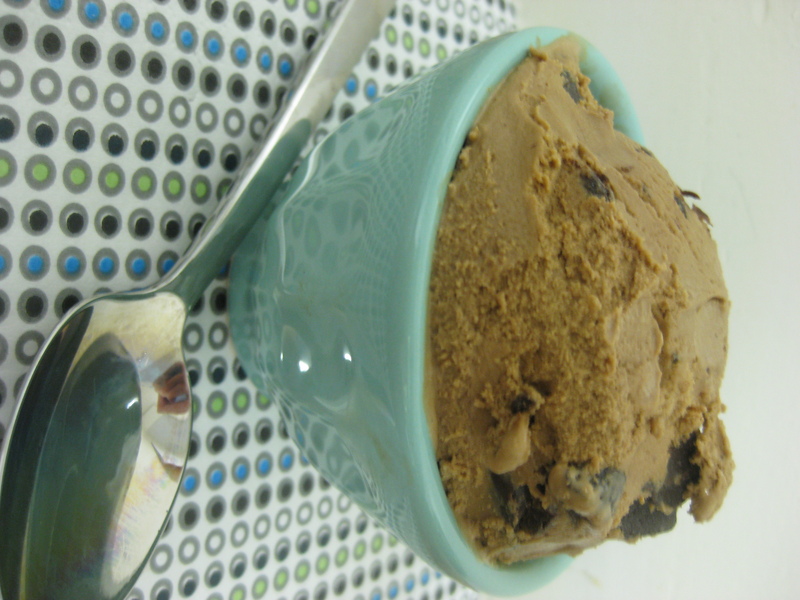 Adding the alcohol to this ice cream was a great move, as it created an incredibly creamy consistency. I’m a texture and flavor girl and this passes both tests with flying colors! 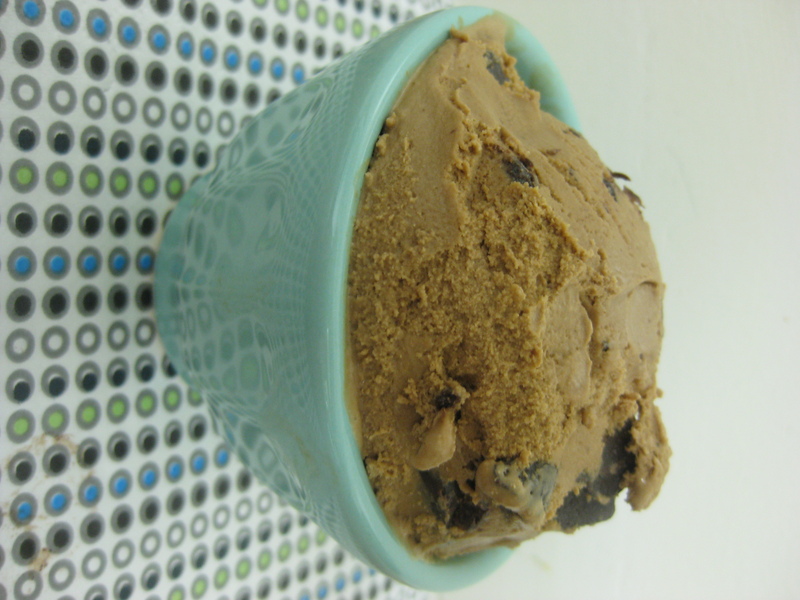 Bold cappuccino flavor, with a subtle cinnamon and coffee taste coupled with chocolate truffle chunks. What more could a girl ask for? Enjoy!